Now we’re finally out of that transitional weather period where one day it’s 17 degrees and the next its not even double digits my skin is finally calm(ish). And now we have our beautiful tiled kingdom of a bathroom it’s really made me excited about my skincare routine and taking time and care over it. So I’ve been doing just that and here are the real standouts that I’ve been using, a couple of familiar faces naturally but all the rest are new additions to my routine and they’re seriously good ones. This is such an exciting release from the brand and something I was eager to add into my routine although I was most definitely a little cautious. Retinol isn’t something that I’m overly familiar with and whenever I read about retinol it usually involves a lot of peeling and redness. Even though I've used it in the past it's still not a product I'm that confident with. Which made me very nervous about using this in case I did encounter any side effects but I’m pleased to report I didn’t, infact it feels very normal upon application. It’s so incredibly gentle, to the point you actually wondering is this doing anything? Which makes it good for beginners or if like me you’re a serious skincare lover and just a little scared. But even just a few weeks of using this in the evening I’ve noticed my skin is looking far smoother than before, ageing isn’t something I’m terribly worried about but it’s on my mind somewhat as I approach my thirties. The combination of the retinol and one of my most loved things to see on an ingredients list; glycerin is helping with any signs of ageing as well as leaving things looking plump and healthy. As always with this type of product, I’m very on it with my SPF the morning after. If you couldn’t guess by the title this is a French pharmacy product and Evoluderm is a brand that I’ve absolutely come to adore over the past couple of years. They make wonderful body products that do exactly what they say on the label but what I’m currently loving is this cleansing oil. It was last year that I became absolutely obsessed with using oils as a cleanser and this is an absolute joy to use. It has just the right amount of slip to make it easy to massage into the skin but it doesn’t feel at all greasy. Once massaged in with a few drops of water any remnants of makeup is broken down and once I’ve washed everything away with a flannel my skin is left feeling clean and calm. It doesn't do anything fancy but sometimes I don't want that in my cleanser, I simply want it to do what it's designed for. There is always understandably a lot of fear when it comes to using an oil if you have an oily skin but I don’t think this bothers the balance of my complexion at all, if anything it keeps everything even and at the end of a long day it’s the ultimate comfort in this cold weather we’ve been having. A clay mask has been part of my weekly routine for years. And if I do nothing else special to my skin that week I will at least do a clay mask and one of my favourites to use is this number from Trilogy. For so long I had a love-hate relationship with clay masks, I loved what they did but I hated how they felt on my skin but this one is different. It still gets all the rubbish that’s lurking deep within my pores out in the open but I never find this settles down so much that it feels really tight, uncomfortable and an absolute nightmare to remove. And even though it gets all the rubbish out of my skin it also doesn’t leave me with a face full of whiteheads or worse to deal with afterwards which is rare when it comes to clay masks. I know rosehip is either of one of those ingredients that your skin either gets on with or you don’t but for me, it’s a complete winner. I initially picked this back up (it was my summer SPF) to see how it would fair against my beloved Clinique City Block and I’ve been switching between the two just so they're both being used equally. It’s very similar to the city block with what it promises to do but it doesn’t quite have the same priming effect but in general, it’s a wonderful product for when you don’t want to wear makeup but want your complexion to look a little more perfected as it still smoothes out the skin a considerable amount. However, the best thing about this obviously apart from being a great option for more for oily/combination skins is that its SPF50+ for UVA and UVB rays so certainly something to keep an eye out for. For so long I worried about using a separate SPF in my routine as they used to be so chalky and feel dire upon application but not anymore, they feel just as good if not better than some moisturisers. Although I don’t use micellar water anywhere near the amount I used to they are still something I like to have around in case of emergency. Well, maybe not so serious as an emergency as I feel like rushing to someone’s aid with a micellar water won’t really do much but this one is very, very good for getting rid of makeup. I’ll have probably said it a thousand times by the time I’m done with writing about beauty but I don’t believe products like this should ever be used in place of actually washing your face but it’s good in a pinch. I have used this as my only cleanse when exhausted and wasn't left with spots afterwards which is good. This feels very light on the skin, not quite like water because they never do but it doesn’t leave any weird residue or film on the complexion and it breaks down makeup with serious ease. The biggest one being mascara, granted I don’t use anything waterproof but I do layer it on so it can be quite tough for any cleanser to get rid of it properly without really rubbing away at my tender eye area. Cinch isn’t a brand I’m overly familiar with but this was a great introduction to them. For a long time, I focused on serums that aimed to help with blemishes or get rid of any scarring that was left over from said blemishes. But now my spots are few and far between and we are of course in the real cold months I like to have something that can boost hydration as much as possible. And one of those products for me is the Clinique Dramatically Different Hydrating Jelly, it’s a hyaluronic acid that seriously boosts moisture in the complexion and it’s an absolute joy to use. It’s one of those products that I can feel if I’ve skipped as my skin doesn’t feel or look anywhere near as good. 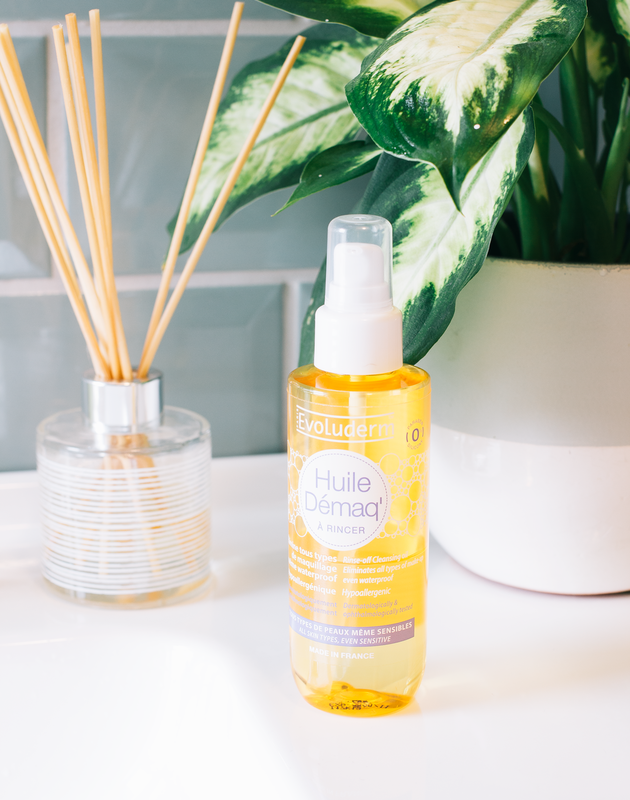 It’s such a simple product and something I imagine that most of us would get on with as we already have hyaluronic acid in our skin and this just gives it a little helping hand to really lock it in. Something I always enjoy about this wonder ingredient is that if I do have spots is that it almost feels quite cooling on them which even in these cold months is something I enjoy but naturally it feels best in summer.